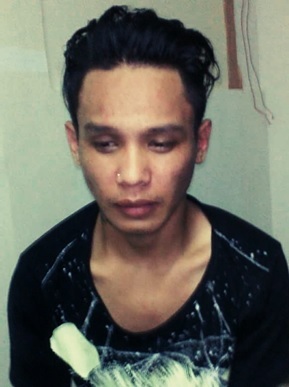 Operatives of the Tagbilaran City police arrested a suspected thief who was allegedly caught in the act of stealing inside the Ramiro Community Hospital and yielded illegal drugs at 6:30 p.m. Sunday. Police identified the suspect as 23-year-old Carlo â€œBayotâ€ Alberio, a resident of Gasanai, Graham Ave. in the city, who reportedly belongs to a syndicate. According to authorities, Alberio was behind a number of burglaries in hospitals in the city and passenger vessels of the Lite Shipping Corporation. Police said that Alberio was seen on closed-circuit television footages of hospitals as he was allegedly conducting his illegal operations. The suspect usually victimizes women, authorities added. Based on police investigation, the Ramiro Hospitalâ€™s security guard and members of the city police theft and robbery section immediately noticed Alberio inside the hospital prompting the authorities to monitor his movements. The cops immediately pounced on the suspect as he was allegedly caught red-handed stealing a cellphone from a patient inside the said hospital. Police noted that they recovered from Alberio a medium-sized pack of shabu as they frisked him. The suspect is now detained at the Tagbilaran City lock-up jail while authorities prepare to file charges against him.